I made my smoke chips “bowl” first. 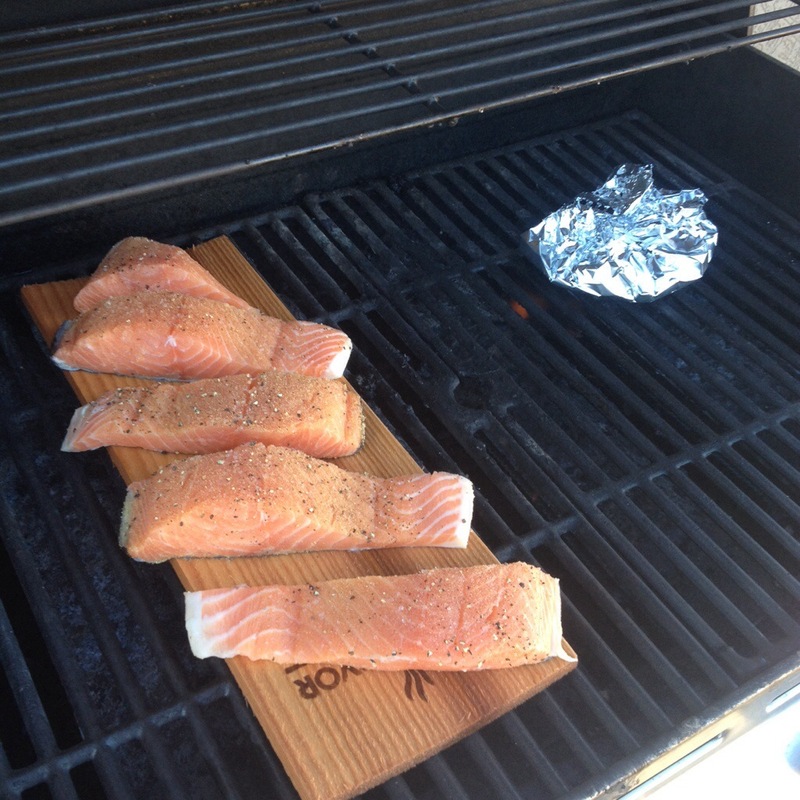 I soaked a hand full of hickory smoked wood chips and a cedar plank for 30 minutes. Using foil as my bowl, I folded them all up in the foil and poked holes for the smoke to escape. 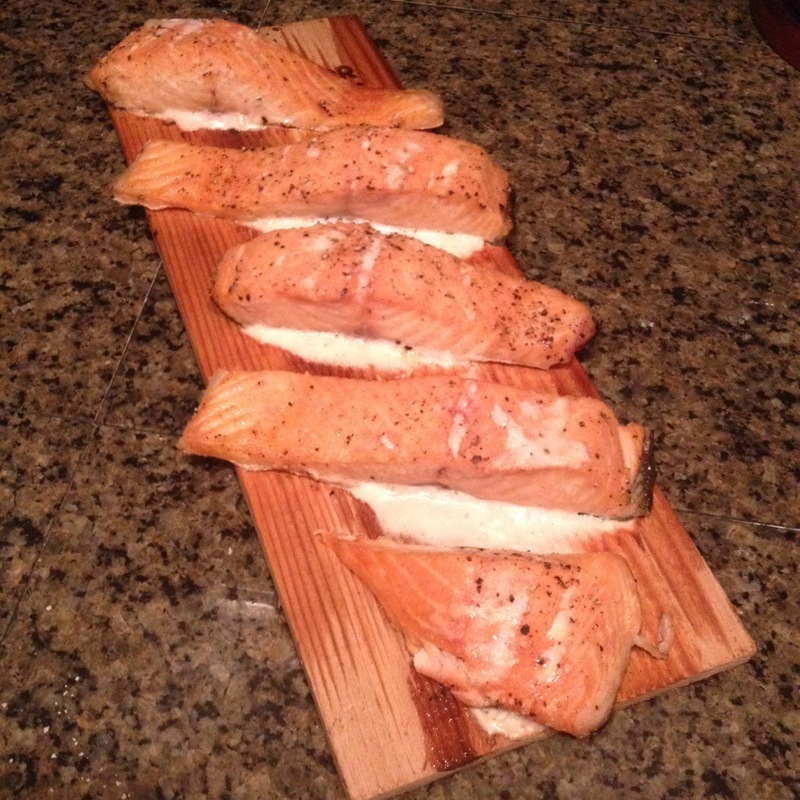 For the salmon, I sprinkled garlic powder, salt and pepper on my filets then placed them diagonally on my cedar board. 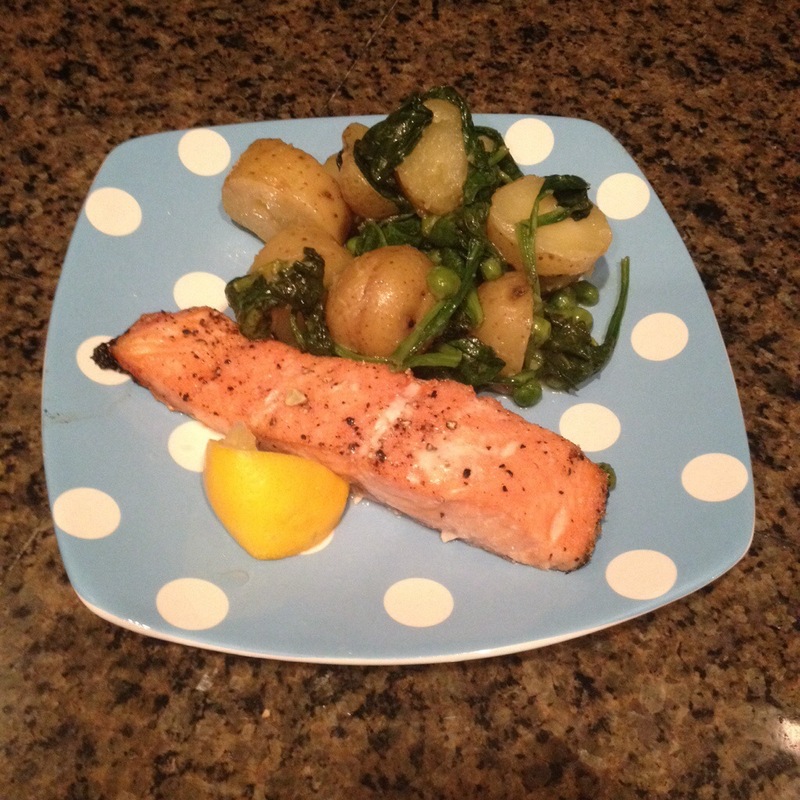 I put the salmon on the unlit side of the grill and the foil pack on the lit side. I grilled them, rotating half way through, for 30 minutes. It seemed as thought they took forever to cook. Try it out! Smoked salmon is very very good! !